Maduro strip immunity by Venezuela’s government. HomeworldnewsMaduro strip immunity by Venezuela’s government. 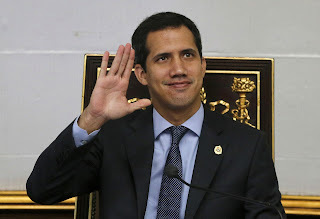 Venezuela's legislator's on Monday asked politicians to strip opposition leader Juan Guaido of immunity, paving the way for the opposition leader’s prosecution and potential arrest for for alleged crimes as he seeks to overthrow President Nicolas Maduro. But whether the government of President Nicolas Maduro will take action against the 35-year-old lawmaker following the Constituent Assembly’s decision remains unclear. Guaidó declared himself himself Venezuela’s interim president in January, and vowed to overthrow Maduro.